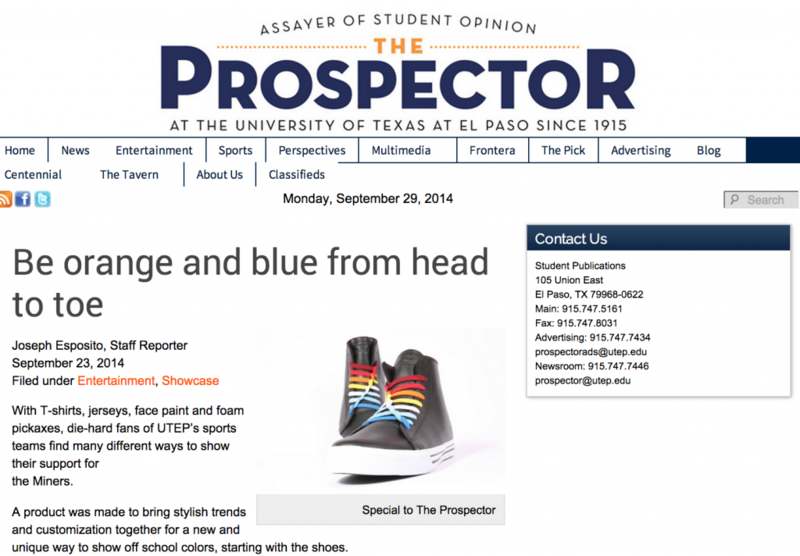 Congratulations to our Client U-Lace for their feature in The Prospector! Designed to look like shoelaces, U-Lace brings new meaning to the comfort and style of sneakers. The product is inserted through two eyelets of the shoes to mix and match designs and styles. With over 50 different colors to choose from, users can personalize any pair of sneakers. With so many colors available,Â U-Lace makes it fun toÂ deck out shoes for the big game. What a greatÂ way to show off school spirit. Check them out atÂ u-lace.com.